Keeping up with their promise to make smartphones more root-friendly, HTC has now provided a general timeframe for bringing bootloader unlocking to its newest Android phones. 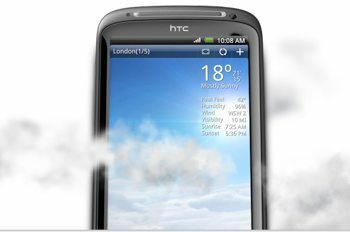 Apparently the process will be two-fold: the company will issue a "maintenance release" for the HTC Sensation in Europe this August, followed by the HTC Sensation 4G on T-Mobile and the HTC EVO 3D on Sprint, with the actual unlocking tool being released for these devices in early September. According to HTC's Facebook page, it will "continue rolling out the unlocking capability over time to other devices as part of maintenance releases and new shipments." They didn't specify which handsets will receive the capability or when we can expect to see it, but the company promises to keep us updated "every few weeks." While people have been able to root their Android devices and flash custom ROMs even with locked bootloaders, providing an official way for unlocking the bootloader makes the process that much easier. The initiative is not unique to HTC; Sony Ericsson has started providing the necessary tools to unlock their smart phones, while Motorola said it plans to enable the unlockable/relockable bootloader currently found on Motorola XOOM across its portfolio of devices starting in late 2011, "where carriers and operators will allow it."